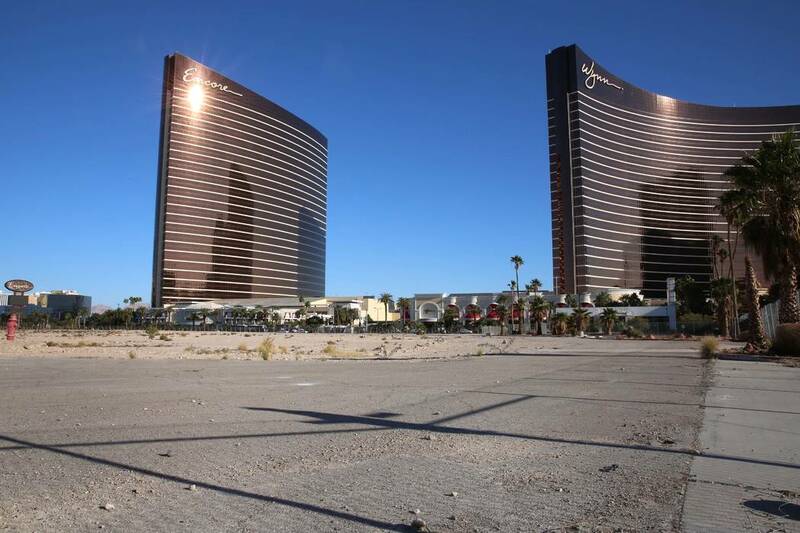 Wynn Resorts will build a new hotel on property the company recently acquired on the west side of Las Vegas Boulevard,company chairman Steve Wynn said Monday in a fourth-quarter earnings conference call. 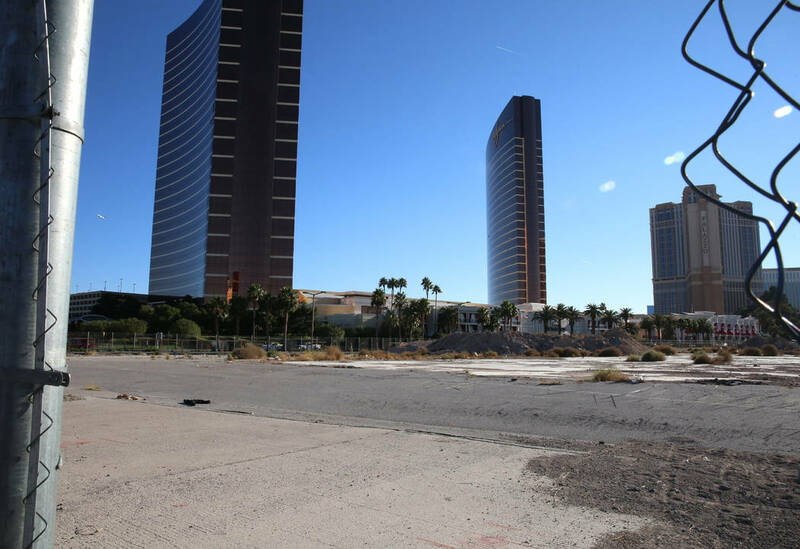 Wynn Resorts Ltd. will move quickly to build a new hotel on land recently acquired on the north Strip, Chairman Steve Wynn said Monday in his first public comments on the topic. The new hotel, Wynn West, will be a 2,000-3,000-room property on the 38-acre Alon site Wynn purchased on Dec. 13 for $336 million. Wall Street analysts had believed Wynn was planning to warehouse the land, the former site of the New Frontier, for future use when market conditions were appropriate for expansion. Wynn West will connect to the Beach Club outside Encore and Wynn Las Vegas via an “air conditioned umbilical hallway” that will run over the boulevard, Wynn said. 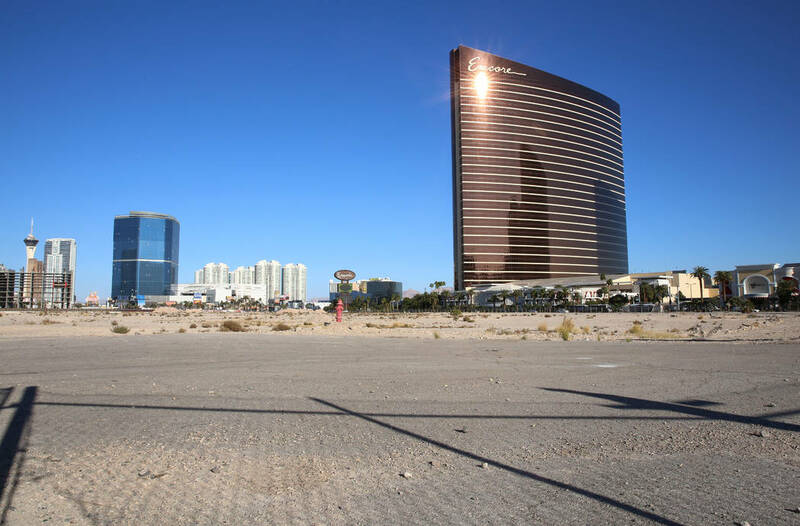 Wynn said he has already built the necessary infrastructure outside the Beach Club because he knew he would eventually buy the plot that stood barren a decade. “What we are going to do across the street is going to go rather quickly because I have been giving it thought for a long time. I don’t think the design and development period is going to be very long,” he told analysts during his fourth-quarter conference call. Also more meeting space is built in the city to accommodate deep-pocked business travelers. The Las Vegas Convention and Visitors Authority this month started construction on a $1.4 billion convention center expansion opposite the Wynn Las Vegas and Encore that will finish in three years. Las Vegas suffered its first yearly decline in visitations last year in nearly a decade amid a slew of factors including weaker foreign currencies, major Strip room renovations and the Oct. 1 shooting that raised concerns about safety in the city. 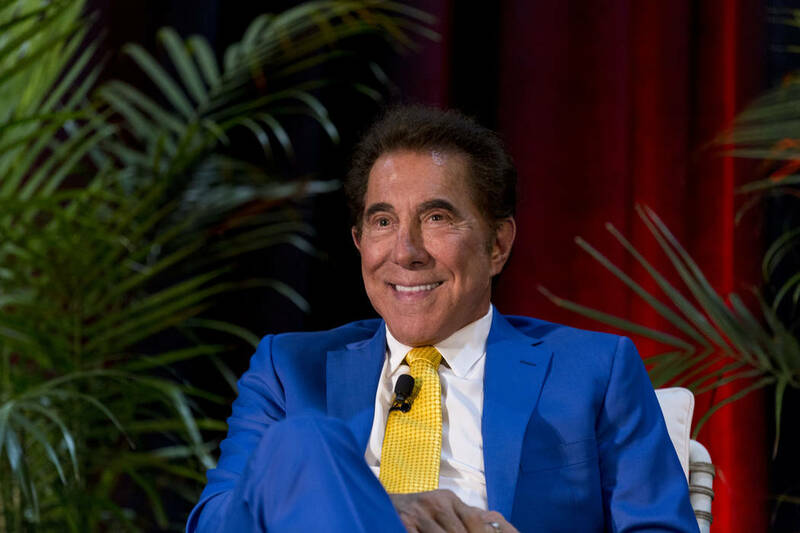 “I am going to get those damn buildings up as fast as I can because I want to capture more of the absolutely inevitable visitor and tourist traffic that Las Vegas will experience in the next 15 to 20 years,” Wynn said about his projects. Wynn said that his company could have 8,000 of the approximately 160,000 Southern Nevada hotel rooms by the time his projects finish. They would be surrounded by 6 million square feet of meeting space and could command rates of $400 to $500 a night by then. The company already has begun work on Wynn Paradise Park, which includes a 47-story, 1,500-room hotel between the the existing Wynn and Encore towers off a lagoon 1,600 feet long and 650 to 700 feet wide. Wynn Las Vegas and Encore have about 4,800 rooms combined. The lagoon, to be placed on the existing 130-acre Wynn Golf Club land, will be surrounded by a one-mile boardwalk and a white-sands beach. Wynn envisions a nightly Carnivale parade of floats on the hourglass-shaped lagoon. Wynn stressed that attractions and recreation are key to attracting the so-called whales that drop from tens of thousands to millions on gaming. “It is the non-gaming that produces all the fancy gamblers and the high-income type of patrons,” Wynn told analysts. Wynn said he hoped to have rendering for all his Las Vegas projects in the next four to five months. “I am being pretty enthusiastic today about Las Vegas, but this is probably the first conference call” where we have been able to present our whole development plan,” he said. Macau provided the biggest boost to the company’s fourth-quarter earnings and Wynn said he believes there’s even greater potential on the Chinese gaming enclave. U.S. investment Morgan Stanley last week said it expects Macau gaming revenue to nearly double over the next five years to $60 billion as growing economic prosperity drives more Chinese to the gaming enclave. Macau gross gaming revenue reached $33 billion last year. Wynn’s two casinos on Macau already generate more than 60 percent of the company’s total revenue. “blow past” an earlier forecast of $630 million in earnings before interest, taxes, depreciation and amortization, he said. 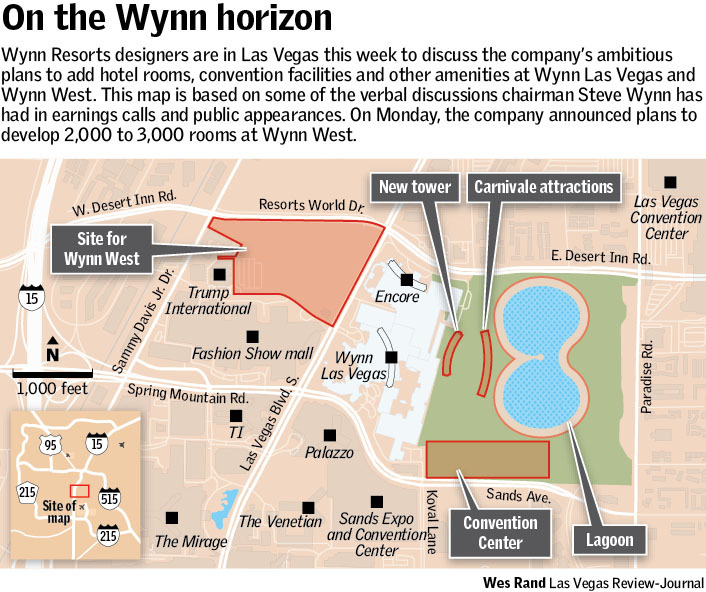 As a result, the company plans to expand Wynn Palace and work has already started on its design, Wynn said. “We have been encouraged (by the government) to file our plans for Phase 2, which we are working on now,” said Wynn adding his Macau leadership team is in Las Vegas this week to work on designs. Wynn said construction around Wynn Palace continues to constrain business, but he expects that to subside as early as next week when MGM Cotai opens its doors Monday and progress continues toward completing a mass-transit system in 2019. “All these things are looking very nice for us,’’ he said, referring to the completion of the construction. Wynn boasted that the Palace is snapping up clients because of the beauty of the design, which took years to complete. Wynn Palace now has 17 percent market share, up from 9 percent. Wynn briefly touched upon his project near Boston Harbor, saying he expected it to open in May or June 2019. He also expected more clarity on building a full-scalre resort in Japan in the next 12 to 14 months. Contact Richard N. Velotta at rvelotta@reviewjournal.com or 702-477-3893. Follow @RickVelotta on Twitter. Contact Todd Prince at tprince@reviewjournal.com or 702-383-0386. Follow @toddprincetv on Twitter. Wynn Resorts Ltd. reported fourth-quarter earnings that exceeded analysts expectations for the quarter that ended Dec. 31. While revenue in Las Vegas was down $6.2 million for the quarter, in part from the impact of the 1 October shooting, results in Macau more than made up for the shortfall. The company reported net earnings of $491.7 million, $4.77 a share, on revenue of $1.69 billion compared with earnings of $113.8 million, $1.12 a share, on revenue of $1.3 billion for the same period a year earlier. The company also reported a 50-cent-per-share dividend.